As I’ve been taking some time off this week, in place of my Flowerona Reflects blog post today, I’d like to share with you news about a very exciting event which is taking place next year. 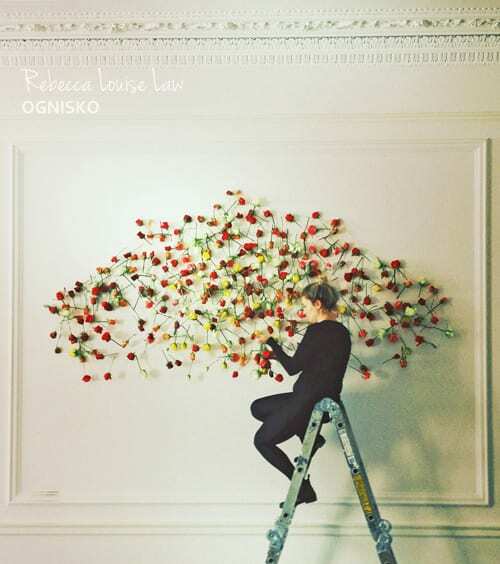 I’m a huge fan of floral artist Rebecca Louise Law and I recently heard that she’ll be putting on a solo exhibition of her work in London in February! On display will be small and large scale installations, plus collaborations with photographers. 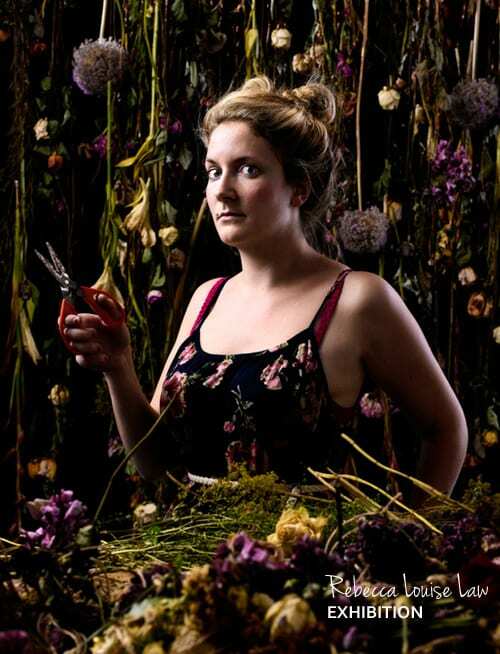 I’m so looking forward to seeing Rebecca’s Floral Art exhibition. In the meantime, I thought I’d share with you some images and a video of some of Rebecca’s latest work. Dolce & Gabbana Private View, Christie’s Gallery. An installation of 6,200 blue and green hydrangeas for the The Maecenas Dinner. 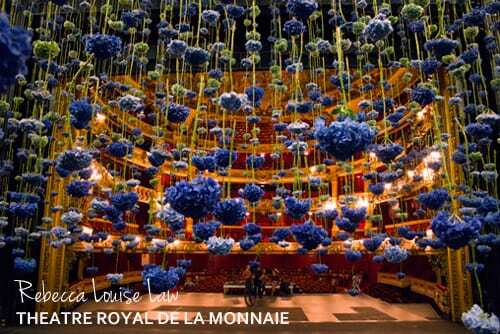 The dinner was sponsored by Hermes and is held annually at the The Théâtre Royal de la Monnaie in Brussels to raise money for Opera. 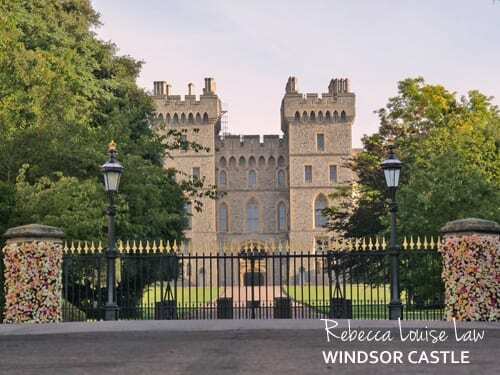 At Windsor Castle, six willow arches were constructed as a gift to the Queen, one for each decade she has been on the throne. 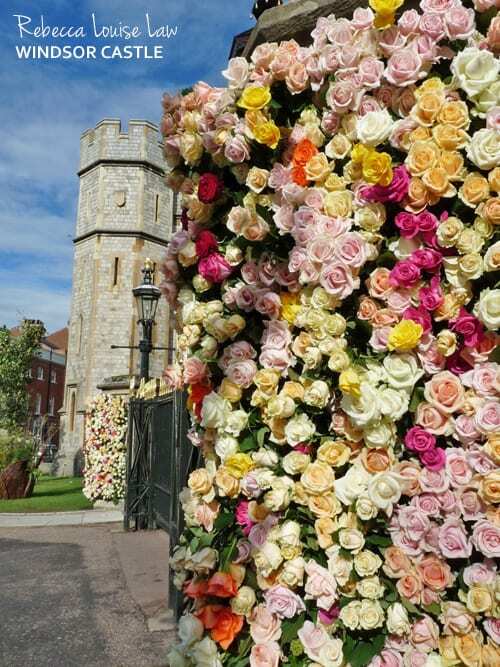 Royal Windsor Rose & Horticultural Society commissioned decorative rose columns at the gates of the castle to open this new attraction in style. For the new restaurant Ognisko in London, Rebecca created a set of three art works that adorned opposing walls. 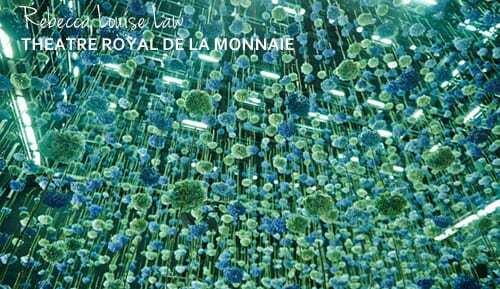 Each piece was made up of multi-coloured roses and copper wire. 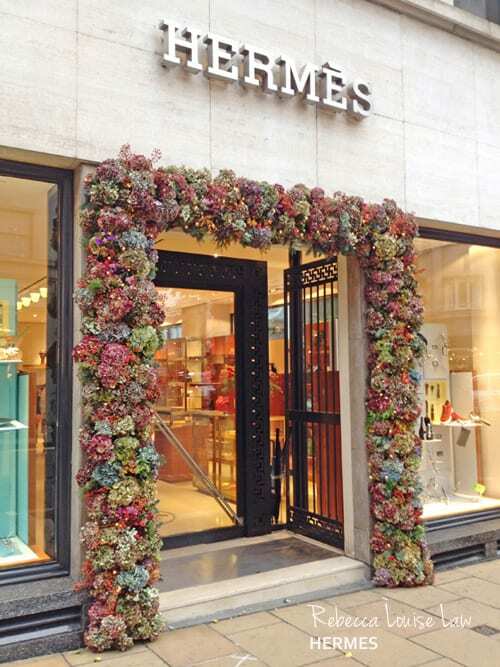 Beautiful floral arches for Hermes stores nationwide. 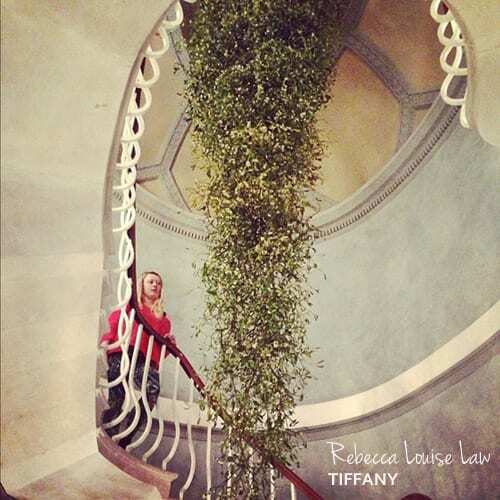 A chandelier of mistletoe cascading down the spiral staircase at Tiffany & Co in Old Bond St in London. 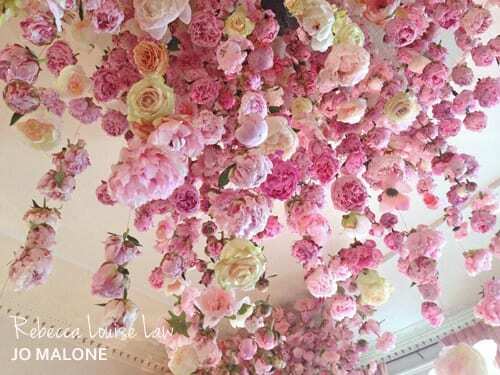 To launch Jo Malone’s new fragrance Peony & Blush Suede, Rebecca created an installation made up of thousands of peonies that completely transformed the Jo Malone London headquarters. To document the process and tell the story behind the fragrance, the beautiful video below was made. 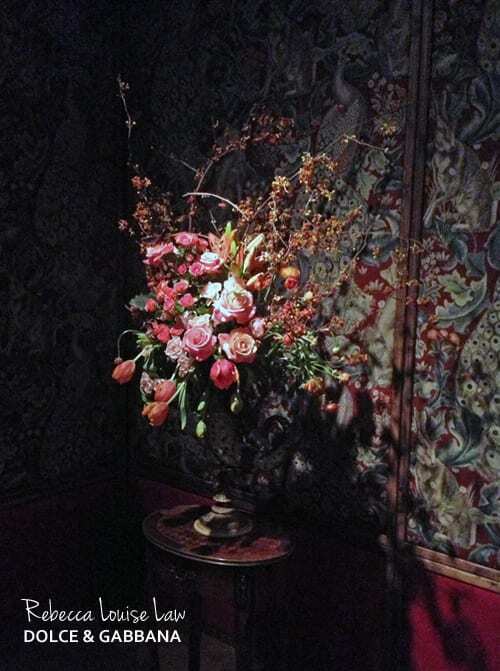 So I hope you’ve enjoyed seeing Rebecca’s breath-taking floral designs today. To see more of her work, do pop over to her website. And here’s an interview with Rebecca on Flowerona from earlier in the year.